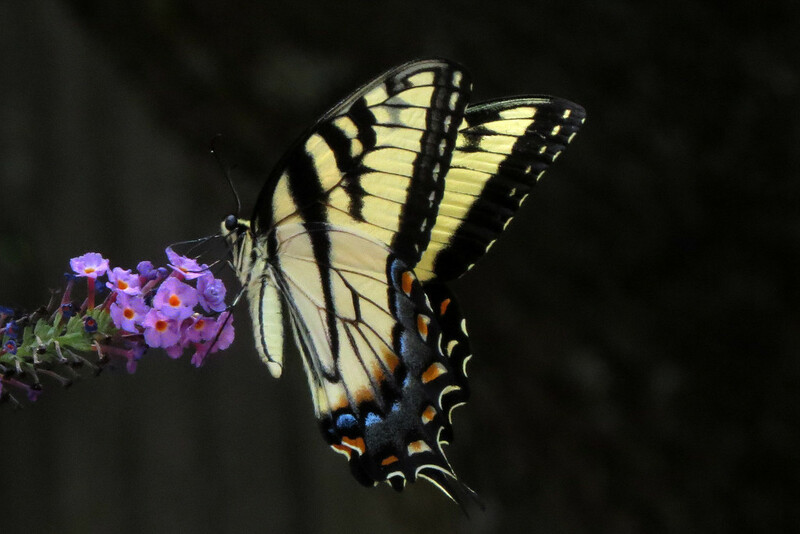 I spotted the Eastern Tiger Swallowtail on our very sparse butterfly bush early this afternoon - what a pleasant surprise. Great shot. Hard to find here now too! Beautiful butterfly. Did you know Milanie, that if you cut off the dead flower heads as they finish, and prevent them going to seed they are supposed to keep producing new flowers till later into the season. I don't always get round to it. Beautiful. They have an aversion to me. Perhaps it is the time of day...they scoot! Now your getting all of the butterfly shots. :-) Great capture. @markp I'm out there daily cutting, but this year it doesn't seem to have helped. Something different this year. Thanks for the thought, though.